A European Commission spokesperson told euractiv.com that the executive is closely monitoring a criminal case against Greece’s former head of statistical services. The Greek supreme court has ordered a trial be opened after a public prosecutor proposed criminal charges last week against Andreas Georgiou, the former head of Greece’s statistics agency Elstat, on grounds that he inflated the country’s budget deficit. Criminal charges were brought against Georgiou in 2013 after Elstat employees accused him and other officials from the statistics agency of artificially inflating Greek budget figures when the country requested a bailout in 2009. He denied the charges, which were dropped last year following an investigation. According to Greek newspaper Kathimerini, Georgiou was indicted on misdemeanor charges in July. The latest motion by deputy supreme court prosecutor Xeni Dimitriou called for him to also face criminal charges. The supreme court will decide whether to accept her proposal. The Financial Times reported that the case prompted concern among officials at the European Commission and the European Central Bank, who previously accepted the data produced by Elstat, an agency set up in the wake of Greece’s first international bailout. “The situation is clear. It is not a pleasant case. The Commission and ECB have been watching this and have reacted very negatively to the case,” a high-level eurozone official told the FT. Contacted by EURACTIV, a Commission spokesperson said that the executive does not comment on judicial proceedings in member states. The spokesperson noted that safeguarding the full legal independence of the Hellenic Statistical Authority (Elstat) was one of the milestones mentioned in the Eurogroup statement from 13 July 2015. The spokesperson also said that “important progress had been made to strengthen its governance and independence in recent years”. “The European Commission monitors the situation closely,” the EU official stressed. EURACTIV also contacted Greek government officials who declined to comment on the investigation because it is a judicial matter. Greek government sources agreed with the Commission’s statement regarding the need for Elstat’s “full legal independence” but noted that this does not mean “they can act out of the rule of law”. Nikos Pappas, Greece’s minister of state, told Greek media that the investigation is “a wound opened that needs to explored in depth”. Pappas added that the country needs to examine how and whether deficits were inflated in order to make “pre-planned” political decisions and lead Greece to a memorandum of understanding. Meanwhile, the Greek court’s decision has triggered reactions among opposition politicians who played the “blame game” about events leading up the first bailout. Karamanlis served as Greek premier from 2004 to 2009 and allegedly believes that fiscal numbers were not “so bad” to merit receiving external financial aid. 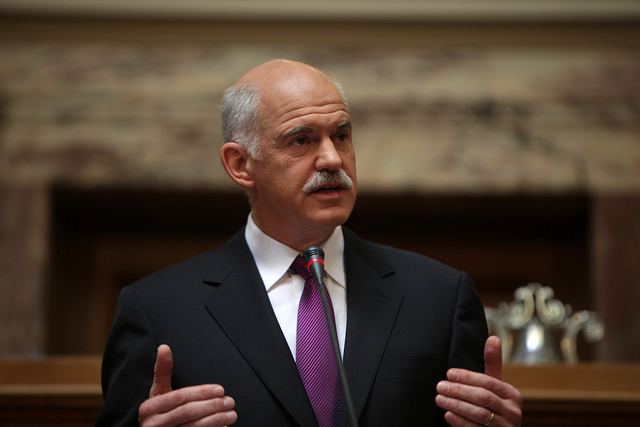 Giorgos Papandreou, the former chief of the Pan-Hellenic Socialist Movement (Pasok), succeeded Karamanlis and asked for international aid to avoid Greece’s bankruptcy. Papandreou also blamed Karamanlis for hiding a huge deficit. In a statement after the court’s decision, Papandreou stressed that Greece’s statistics had been systematically manipulated until September 2009 by Karamanlis’ government, resulting in the 2010 debt crisis. “This happened long before the establishment of an independent Elstat,” Papandreou noted. But for Karamanlis’ camp, the supreme court’s decision is “vindication” for the centre-right government that was in power until 2009. The court’s ruling also caused turmoil within the main opposition party New Democracy. New Democracy leader Kyriakos Mitsotakis unexpectedly did not issue an official statement, triggering reactions from several centre-right lawmakers. “Strategically speaking, it was wrong not to issue an official statement”, New Democracy MP Nikitas Kaklamanis stressed, adding that the party had asked in February 2010 for an inquiry committee to investigate what happened between 2000 and 2010. Cheating on numbers seems to be the national sport in Greece. The waste of good money, which naturally cannot be accounted for, must reach in the billions. Perhaps the German taxpayer (in the front line) should revolt.